The British Museum can truly lay claim to being one of the greatest and most significant museums in the world. 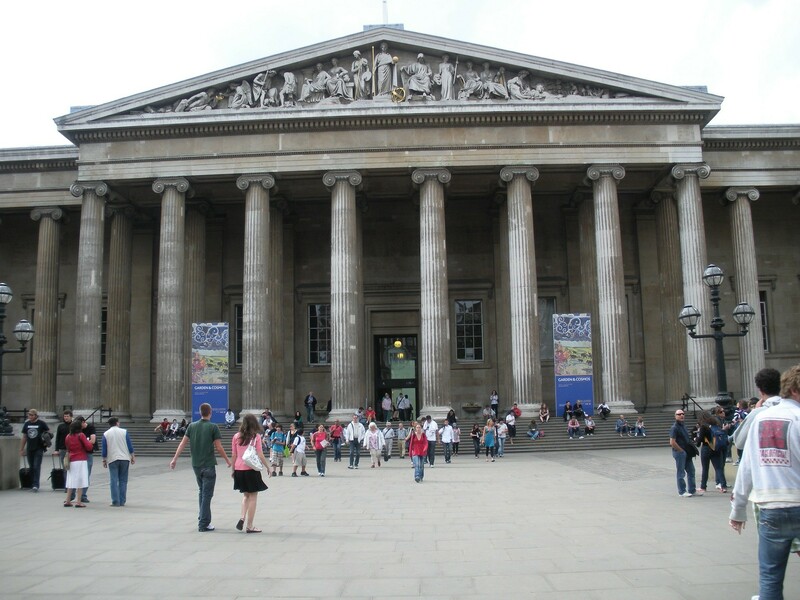 The British Museum can truly lay claim to being one of the greatest and most significant museums in the world. Encased in its hallowed halls is virtually the complete history of humans and their culture. The collections contain everything from prehistory to ancient cultures in Egypt, Sudan, Greece and Rome. All of Africa, Asia and Australia are represented as well as coins, medals, prints and drawings. It has also hosted some of the greatest exhibitions the world has ever seen. The Tutankhamen exhibition in 1972 was seen by more than 1.6 million people. The Terracotta Army exhibit in 2007 attracted similarly rave reviews and caught the public imagination in a similar way. The Museum was based on the collection of Sir Hans Sloane who amassed around 71,000 objects during his lifetime and bequeathed them all to the nation when he died in 1753. That same year, George II gave his assent to The Foundation Act which combined Sloane’s collection, the Cottonian Library and the Harleian Library (and, in 1757, the Royal Library) into one body: the British Museum. It was the first freely open, public museum and combined science, literature and antiquities. It was originally placed in Montagu House and officially opened for the first time in 1759. 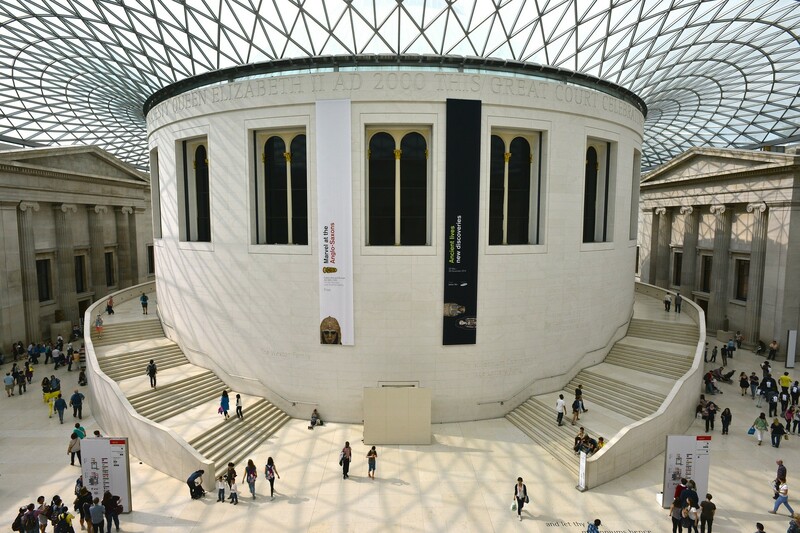 A series of exhibitions (including one of curiosities brought home by Captain Cook, and the Rosetta Stone) helped expand the size of the collection as well as its status and by 1822 it was agreed that the building needed to be extended. In the early years of the 20th century, the building was expanded again, to approximately the dimensions that we see today (although it was expanded again in the 1970s). 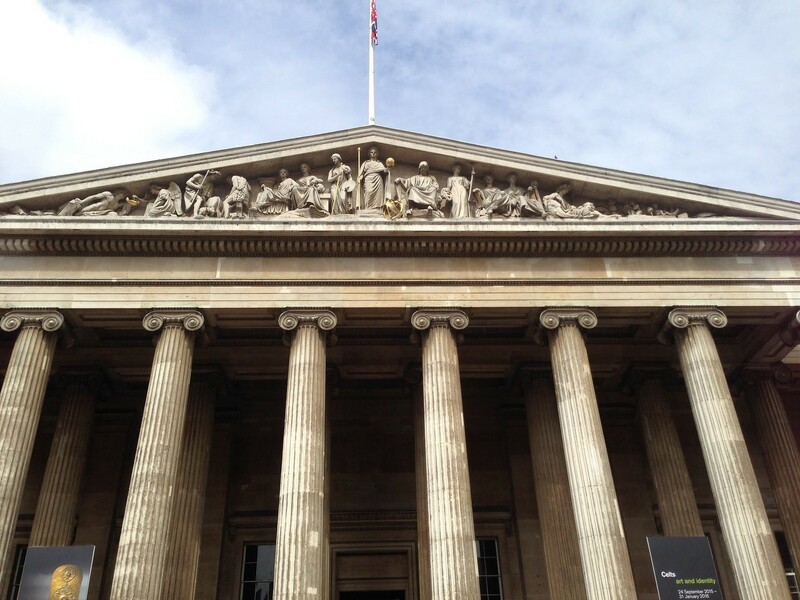 There are so many fantastic things to see in the British Museum that it is impossible to name even a fraction of what you should see, but there are certainly one or two highlights not to be missed. The Rosetta Stone (which allowed the translation of Egyptian hieroglyphs), the Roman Crouching Venus, the Assyrian human-headed winged beasts, prints by artists such as Leonardo da Vinci, Raphael and Michelangelo and the Sutton Hoo treasure are but a few. You must see The Elgin Marbles too.